Testing malic acid helps to determine if a malolactic fermantation is finished. 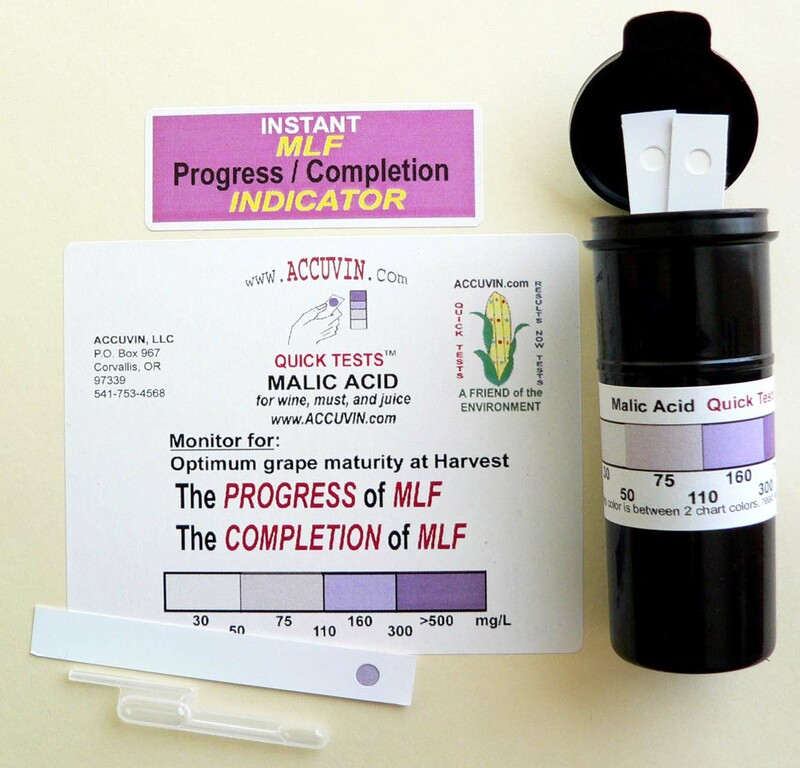 The Quick Test Malic Acid test kit monitors the decrease in malic acid from 500 mg/L to 30 mg/L, indicating the completion of malolactic fermentation, No color indicates a malic acid concentration at or near 0 mg/L. Malolactic fermentation, the secondary fermentation of winemaking, is a method for reducing total titratable acidity by adjusting the relative concentrations of L-malic and L-lactic acids, softening the wine and allowing it to develop mellowness and full-bodiedness, This process also results in enhanced microbial stability since one of the key nutrients of spoilage bacteria, malic acid, is removed.